For over ten years, LT Construction & Remodeling has proudly help Clinton residents with their residential remodeling projects. In every project, our remodeling contractors are completely focused on maximizing customer satisfaction. We take a great deal of pride from our work, and we judge the success of every project based upon how well we accomplish our customer’s goals. With this mentality, our professional remodelers will work their hardest to provide you with the most customized services. Call us today if you have any remodeling project in mind for your Clinton home. Our professional remodelers can help you with basement, kitchen, and bathroom remodeling projects. We have the skill to accomplish complex jobs like room addition and new garage construction. Our staff is here to help you in any way that we can. We would be ecstatic to schedule your appointment today. When you remodel your Clinton kitchen, it is important that you focus both on the aesthetic and functionality of the room. If you do not consider the ability to use the kitchen after the project, it will not be a success. At LT Construction & Remodeling, our kitchen remodelers can help you design the most beautiful kitchen that will also facilitate all of your cooking and gathering needs. Our professional Clinton kitchen remodelers work with our customers to provide the most customized remodeling services possible. During our kitchen remodeling projects, we will provide you with sample materials so that you can make the right choices when it comes to your new cabinetry, flooring, countertops, and backsplashes. Our experts can then install these chosen materials in a fashion that accommodates all of your needs. Because the bathroom is generally a smaller living space, you can make substantial improvements to your Clinton home quickly and easily. Our professional bathroom remodeling contractors in Clinton have the skill, knowledge, and experience you need when it comes to redesigning your Clinton bathroom. We will work with you at every stage of the project to ensure that you receive the most customized bathroom remodeling services. If you are in need of more space in your home, our professional Clinton remodeling team can help you. Our staff has the ability design and construct room additions and garages as well as other extensive additions to your property. The best part of these project is the fact that you get to design these new spaces to accommodate whatever need you desire. We can help you construct new bedrooms, offices, bars, relaxation areas, or entertainment spaces. In the end, we guarantee that your Clinton family will be completely satisfied with the new addition to your home. 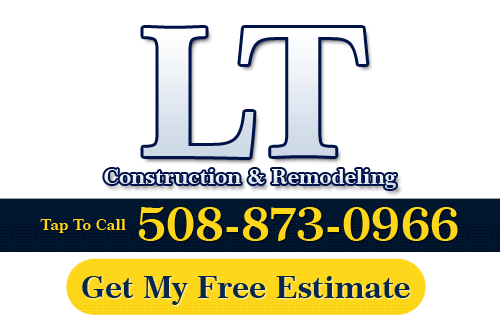 If you need to hire a professional Clinton remodeling contractor, call LT Construction & Remodeling at 508-873-0966, or complete our online request form.